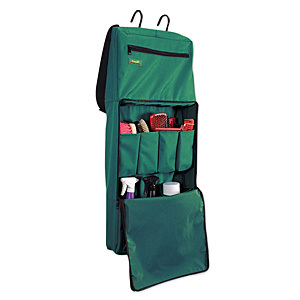 This portable grooming organizer from tough-1 is perfect for shows! Heavy denier nylon Portable Grooming Organizer with 2 hook tack rack. 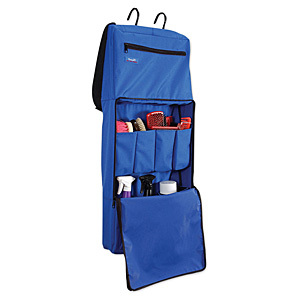 Adjustable shoulder strap with clip. 14" pocket with zipper closure. Four 6" pockets, three 8" pockets and two bottom pockets (9" and 2"). 16"x 34". 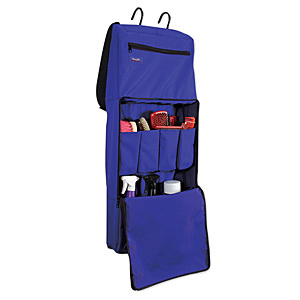 Click here for more colors and patterns or to purchase your grooming organizer.